Dolphin Tale 2 FREE Curriculum!!!! Ladies and gentlemen, mark your calendars! 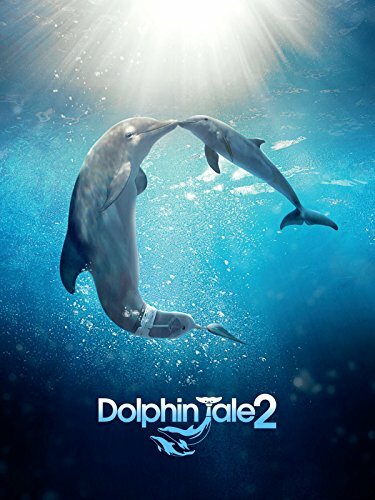 On Friday, September 12, the release of “Dolphin Tale 2” in conjunction with HomeSchool Movie Day is offering a showing of this movie to homeschoolers during the noon time slot in theaters all across the country! You have the opportunity to take your kids to see a wonderful and educational movie!!! So write it down, add it to your calendars, put a reminder in your smart phones or electronic device to remind you to head to the theaters. 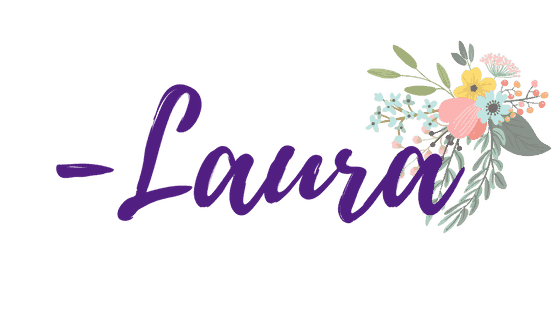 Before you do that, I have a wonderful resource I want to introduce you to. I, personally, am a stickler on the kids reading the books prior to watching the movies. For example, before I let my oldest watch Swiss Family Robinson or Narnia, he had to read the books first. The same goes for my younger two as they grow older. My oldest has witnessed first hand how so much is left out of the movie as compared to the books. Although he might complain at times, he usually thanks me later. The torture home school kids go through, right? LOL! 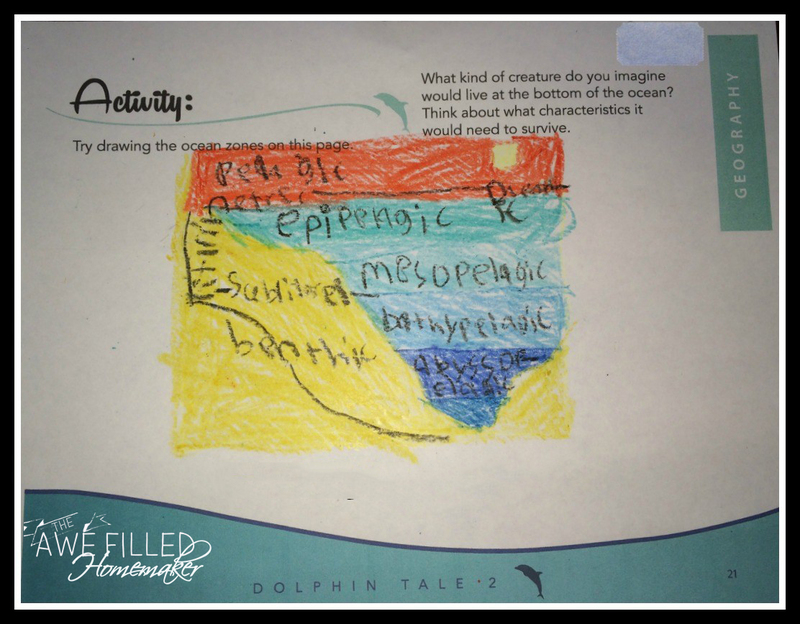 When I heard about the release of “Dolphin Tale 2,” I soon learned about a curriculum that goes with the movie. Needless to say, this momma was so excited!!! The boys and I navigated through the learning videos, which were very well done. The videos are education and exciting enough to challenge my oldest, yet short just the right length to keep my younger two from losing interest. I have shared with you all before about my youngest son’s obsession with all things fish. Hence, the nickname he was given – Nemo. As soon as I showed him the cover to the learning videos, he was immediately interested…LOL! My middle son is a HUGE fan of all things turtle. Hence, the nickname given to him – Turtle. Once he saw Sea Turtles in the videos, he became so excited! My oldest son loves to read about different topics, but it seems his passion is science. Hence, the nickname he was given – Bookworm. He is infatuated with science so much that he will submerge himself in anything science related. All three of my boys have thoroughly enjoyed these learning videos. 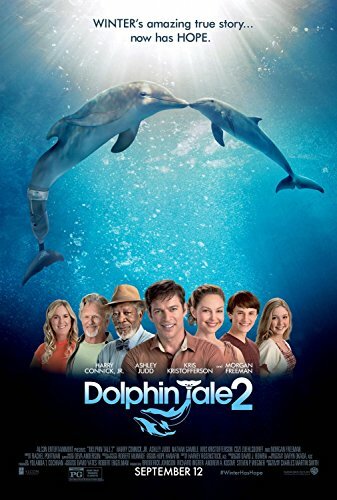 Having seen the original “Dolphin Tale,” the boys were excited when I told them of the “Dolphin Tale 2” movie. 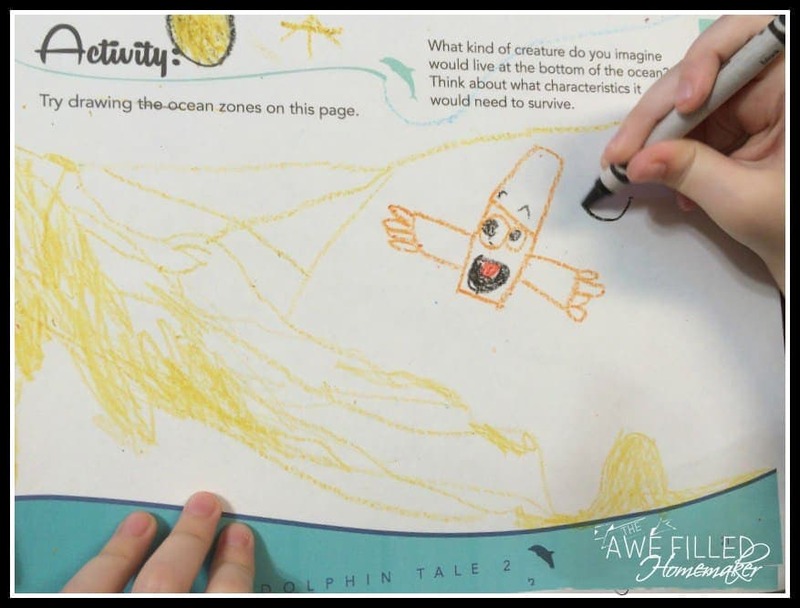 However, the Dolphin Tale 2 Curriculum has furthered their excitement. Also, as an added incentive, it gives them background knowledge prior to watching the movie. After we watched the videos, I printed out all the PDF files for the written curriculum. WOW!! Can I say WOW again? The writers of the curriculum really outdid themselves!!! Did I mention that this curriculum is FREE?!?! Honestly, a curriculum this good and this in-depth could easily be sold. I would have gladly paid for, but I am also glad I didn’t have to. What a blessing!!! Do you participate in Classical Conversations? Even if you do not, the Classical Conversations PDF is simply amazing. This is an invaluable resource for all of us. A section For Parents-has worksheets for handwriting, more in-depth discussions for parents to look over, and a HUGE list of resources for more information. When I was asked to review the curriculum, knowing that it was going to be offered for free, I expected just a few generic pages. To my surprise, I was wrong. In fact, I was nowhere near being right…lol. The Classical Conversation booklet in itself is 77 pages! Notice I only listed the Classical Conversation piece and not the rest of the curriculum. There is no evolutionary content covered in any of the curriculum for those who like to avoid that subject. In case you’re worried about the younger children, they will have access to coloring pages as well as plenty of other content they will enjoy. My youngest, aged 5, sat with me while I was putting the printouts together and kept saying, “Oh, Mommy I want to do that! Can I do that one? I want to read THAT!” While a 5-year-old may not comprehend certain vocabulary words, or may be disinterested in content he or she doesn’t understand, this curriculum is designed to cover a wide range of ages and learning styles! Don’t discount younger ones on vocabulary either. Sometimes I think my youngest is bored and not paying attention when I am working with the older two, but later he says and comprehends the words we covered. 🙂 So what are you waiting for? 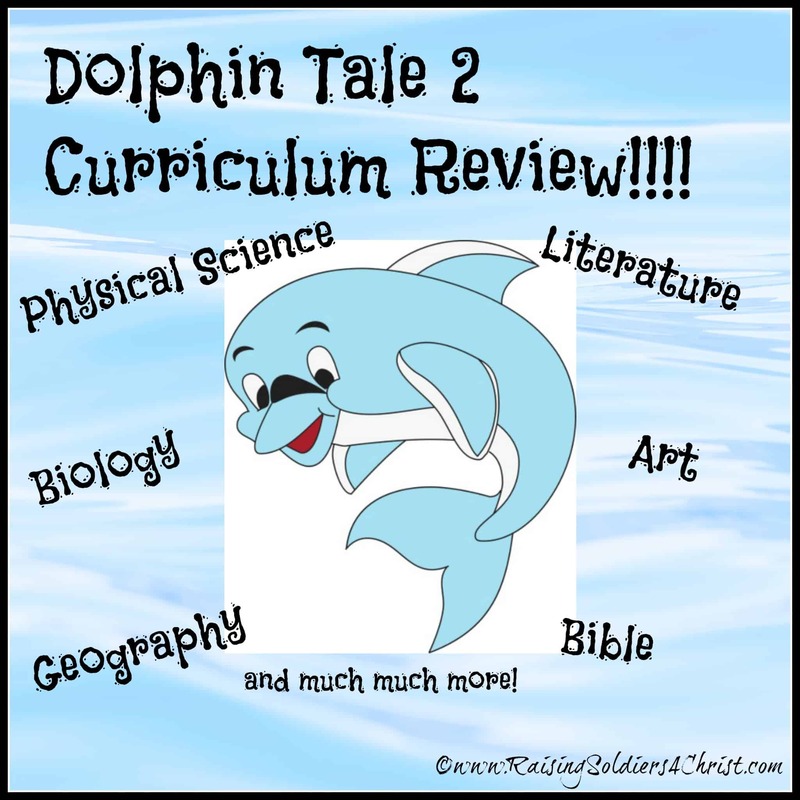 Head over and get your free curriculum for Dolphin Take 2 today!!! I give it a 6/5 simply because it blew my mind! 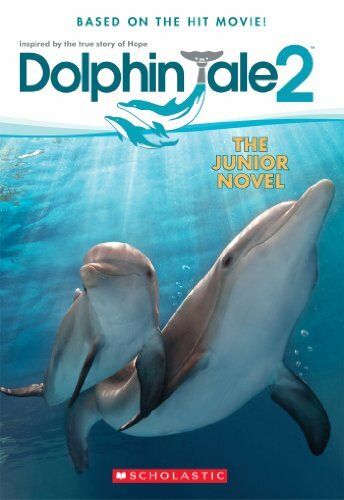 To get access to Dolphin Tale 2 FREE curriculum click HERE. Also, if your interested, I have a booklist of Dolphin books found HERE that you can add to your studies! Previous Post: « Want to Study Dolphins? Here is my booklist!